3 Fresh Homemade Orange Juice Will Stay Fresh for How Long? 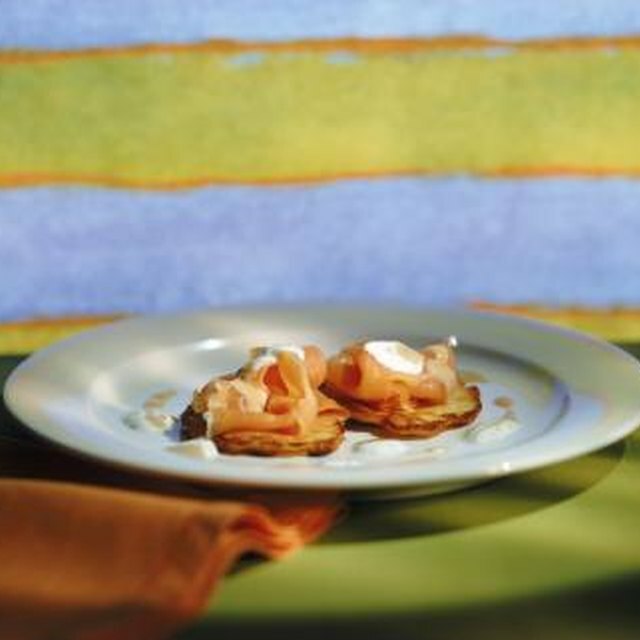 If you always look to canned salmon when preparing salmon patties, you are in for a treat. Although the nutritional value of canned and fresh salmon is comparable, the taste of fresh salmon patties may win your heart forever. However, just as when working with any type of raw fish, it is important to follow food safety and handling procedures during preparation. 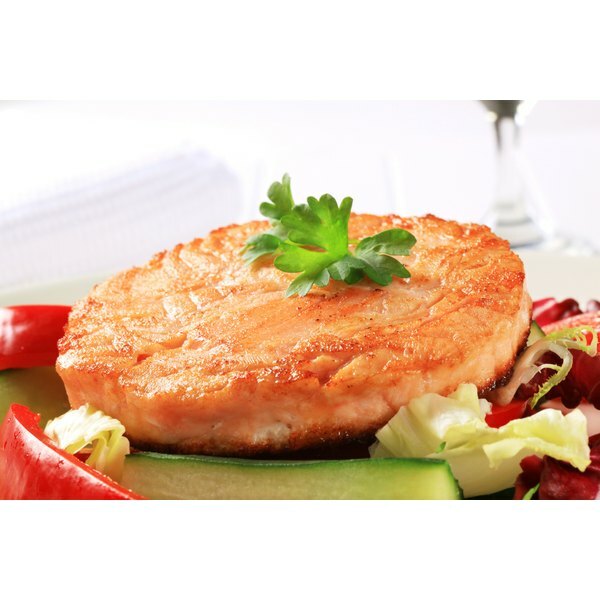 Knowledge of food handling safety, a pound of fresh salmon and a few additional ingredients are all you need to create a meal you may not soon forget. Add the mayonnaise, chopped green onions, lemon juice, tarragon, parsley or basil according to your taste preference, Dijon or honey mustard, horseradish and black pepper to a large mixing bowl. Wash your hands. Remove the salmon from your refrigerator and set it on a clean cutting board. Chop the salmon into 1/4-inch pieces using a sharp chef’s knife. Add the salmon pieces to the mixing bowl and stir to combine the ingredients. Cover the mixing bowl and set in your refrigerator for 1 to 2 hours. If your mixing bowl does not have a cover, use a sheet of plastic wrap or aluminum foil. Remove the mixing bowl from your refrigerator and add the bread crumbs. Stir, using a clean spoon to combine the bread crumbs into the ingredients in the bowl . Wash your hands. Form the mixture into four patties, each about 1 inch thick. Add olive oil to a skillet and let it heat over medium heat until the oil is hot. Set the salmon patties in the hot skillet and cook for 3 to 4 minutes per side, using a clean spatula to turn the patties. When done, the patties will appear firm and have a golden brown, crusty exterior. Use a fork style food thermometer to make sure the temperature of each is at least 160 degrees Fahrenheit before removing from the skillet. Preparing salmon patties is also a good way to use leftover salmon. Wash your hands with hot water and soap before and after touching raw salmon. Thoroughly wash and then disinfect any cooking utensils or surfaces you use when preparing raw salmon. Never reuse utensils before washing and disinfecting the utensil with a commercial anti-bacterial spray or one you make at home. A bleach solution of 1 tsp. of bleach, or 3/4 tsp. if you use an “ultra” type of bleach, to 1 qt. of water is an effective sanitizer. Trident Seafoods: Salmon Burger, 4 Oz.